Luxurious Reflex mattress, ribbed carefully to work in harmony with your body. The Reflex Mattress achieves the most outstanding levels of performance, shape and retention and long term durability. 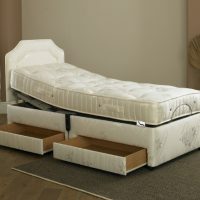 Its unique construction ensures excellent mattress ventilation. 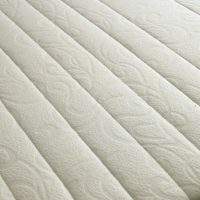 For extra comfort, the mattress is available in various degrees of firmness, soft, medium or firm. Finished with a superior Belgian luxurious micro-quilted fabric. 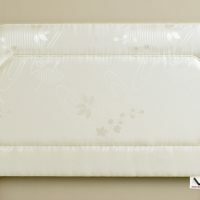 It offers a luxurious, yet supportive feel to the mattress. 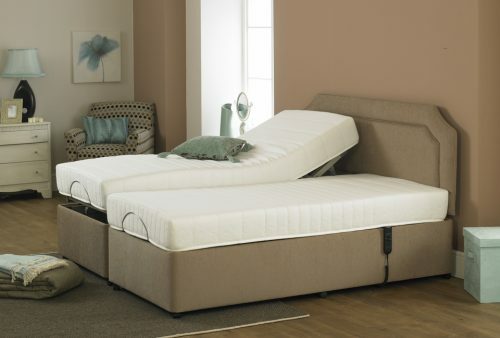 5'0" and 6'0" electric beds are supplied with 2 single mattresses to suit the bed size. 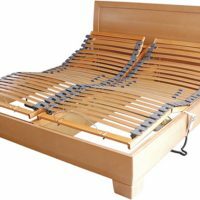 This gives you the option to select massage systems and heavy duty motors to one or both sides of the bed. Equipped with a practical and user-friendly multi-function low voltage deluxe 6 button handsetElectric handset which lifts both the headend & foot-end. It comes with a 5 fold electric mechanism offering a complete choice of comfort settings. It flexes to support the five key areas: knees; hips; back; neck and head.